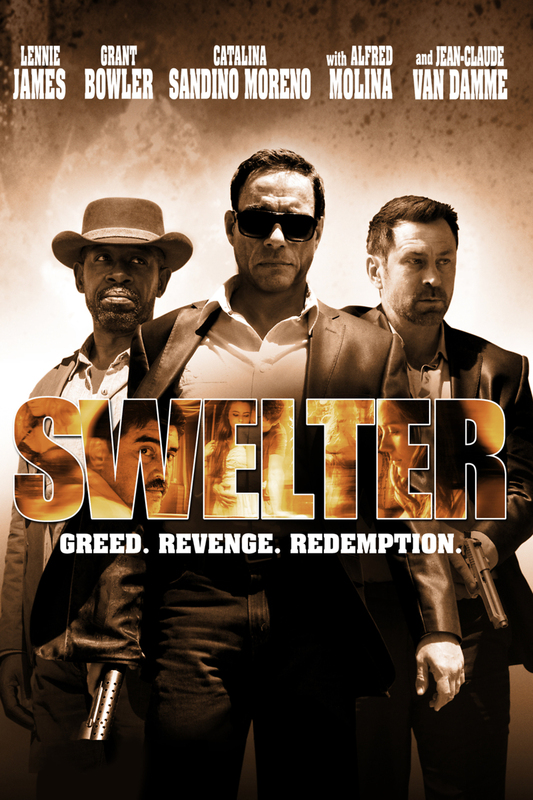 Swelter DVD and Blu-ray release date was set for August 12, 2014. Stillman is the ex-boss of a gang that made the news and paid the price for it. A decade prior to the events depicted, he and his partners in crime devised a successful plot to rob the Luxor Casino in Vegas of an incredible $100 million. The victory was short-lived for most of the team, however, as his quartet of accomplices were captured and imprisoned for a decade under maximum security. They eventually capitalize on an opportunity to make a jailbreak and seek out Stillman, only to discover that the man has no recollection of his past life and now works as a rural sheriff.